We are part of Secret Santa Charities. 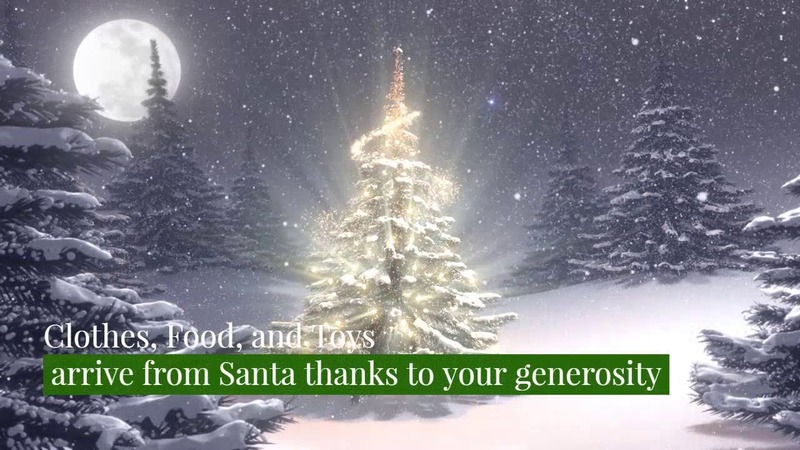 As such, 100% of all proceeds are sent back out into the community during the holidays to help needy families, provide scholarships and to help the homeless. The kiddos were in awe! Super surprised when an authentic Santa and Mrs. Claus walked through the door after their winter program. 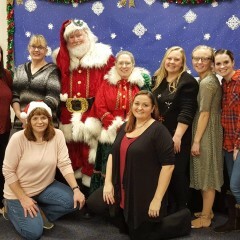 They worked the room and everyone got to talk to Santa about what they wanted for Christmas and take pictures. They were great! We loved visiting with your students and their families! We hope to see you all next year! The best Santa and cause! Santa Mark was an absolute joy to work with. Not only did he make our holiday party a huge success, but he was so wonderful to work with in the planning and execution stages. Very communicative, easily accessible, and overall just a great person. We are so thankful to have found him and the cause that he supports. Thanks, Mark! 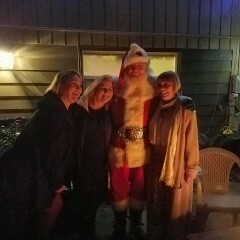 We hired Santa Mark for our OHSU party for staff and their families. We had about 300-350 attendees. He and Mrs. Claus (a bonus) arrived on time and made a grand entrance. Over the next 3 hours (they contracted for two hours but refused to leave until everyone who wanted photos got them), they charmed everyone with their sparkling performance. I was extremely pleased and not ashamed to say they were magical as promised! For months afterwards, staff talked about them and about how they were the best we have ever had. Best of all, they have a charity so our fee was tax deductible and went to help needy families in our area! Thank you! 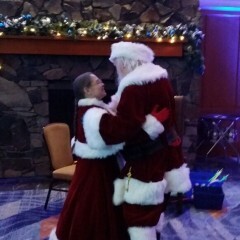 It was a true pleasure and Mrs. Claus and I loved getting to know everyone! Looking forward to this year's event! Santa Mark came to our holiday party to visit with the kiddos. He had a busy night but managed to make it ahead of schedule and this kids were thrilled. He was very professional and great with the kids. Thanks Santa Mark! Absolutely no complaints whatsoever. He did a fantastic job with the kids. He was prompt, professional and catered well to all the children’s Needs ...we will call him again next year! I loved being a part of your event! I can’t wait to visit next year! My family loved Santa Mark. He was truly a gift to us this Holiday and I couldn’t recommend him more!! Santa Mark was amazing! He engaged with kids and adults alike and brought a new level of wonder to our holiday event. We will definitely hire Mark again - not only a fantastic Santa, but a wonderful human being, as well. We genuinely enjoyed our time with him! We had the best experience with Mark! He arrived early, was so kind to the families in our community, and had fantastic facial expressions for the camera. We'll hire him again next year! I don' think I would have another one without him.. It was a pleasure being a part of your event. You folks were a lot of fun! I look forward to the next one! Thanks for your support! Santa Mark is AWESOME! He was the perfect addition to my son’s first birthday! He was professional and friendly from the first time we spoke! The kids (ages 1-19) adored him!!!! He was perfect!! I had as much fun as they did! You made everything so easy. Your son is cute as a button and all the kids were terrific. I can't wait for next year! Thanks again for your support! Oh my goodness I don’t even know where to begin! Santa Mark was absolutely amazing for our little party! We have 9 grandkids so we decided to just hire a santa to do pictures and normal santa stuff at home! I didn’t know what to expect but it couldn’t have gone any better! All the kids were in awe of him, he was just so caring and so interested in each and every kid! We even had two screaming kids and he did so well with them also. He tried so hard to make them feel comfortable and love him. I can’t wait till next year because santa Mark will be a every year thing for as long as we can do it! Thank you so much santa Mark for giving us such a amazing experience! Have a Merry Christmas! I had a terrific time at your event! I can't wait until next year either! Merry Christmas and thanks for your support! Santa Mark and Mrs. Clause were fantastic! They were warm and personable with our children and the Adults absolutely loved them. 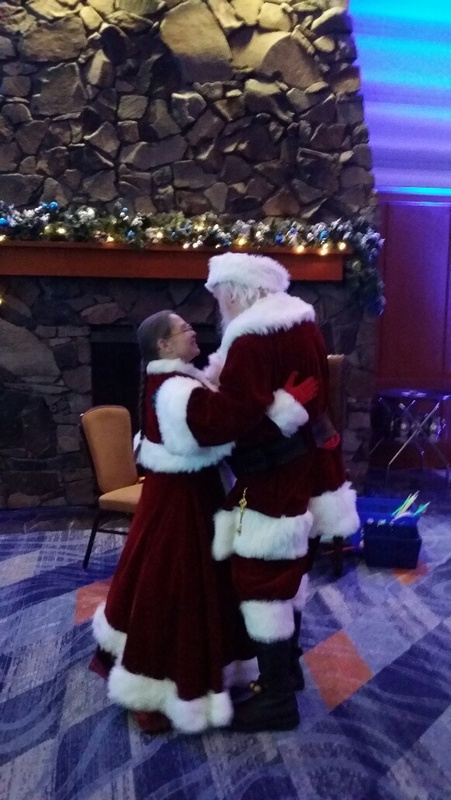 Some of our Highlights were when Santa entered the Grand Ballroom at Skamania Lodge ringing bells and making a grand entrance, it was something to see when they entered. The costumes were beautifully made and they both were so professional. Santa and Mrs. Clause even danced a slow song together on the dance floor and by the fireplace. We loved them do much and will hire them again for next years party. Merry Christmas! What can I say? 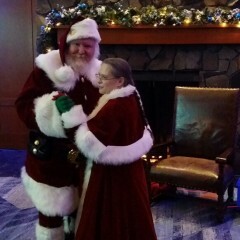 Mrs. Claus and I had a phenomenal time with your group! We can't wait for next year! Thanks for your support! 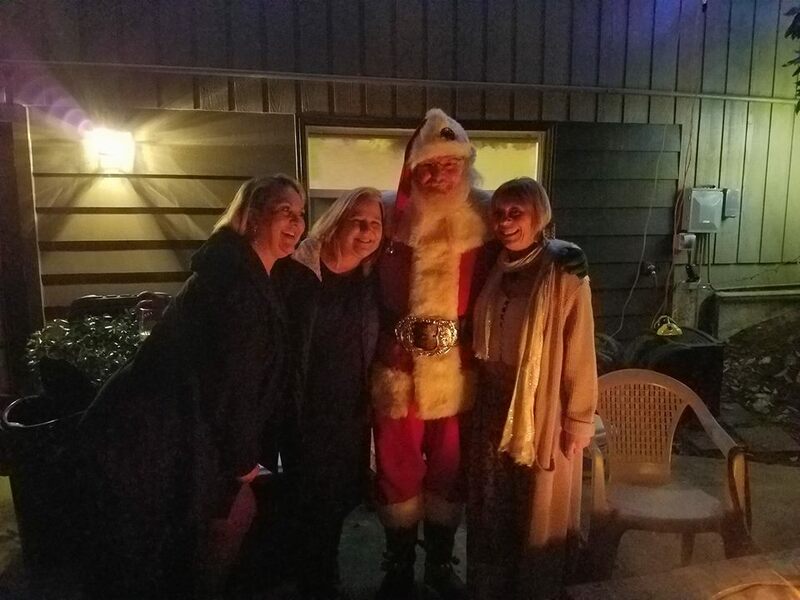 We had Santa Mark for our annual Christmas Party. This was family, friends and business associates at Persimmons Country Club. He and his Elf arrived on time. 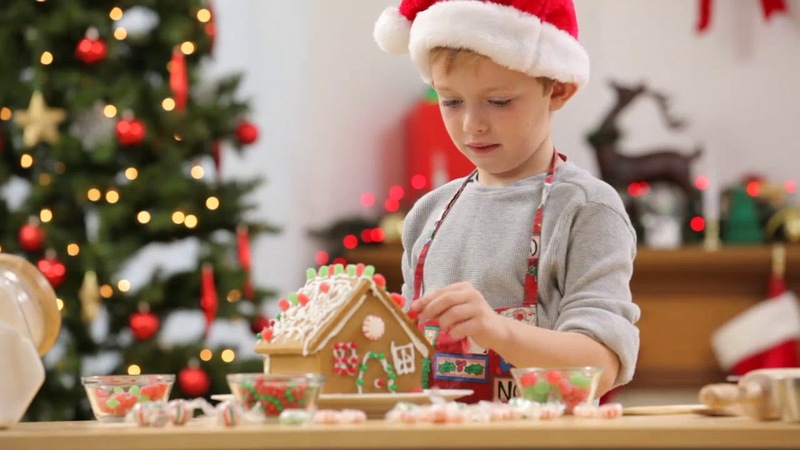 After entering the party ringing sleigh bells loudly, he handed out a few gifts to the children at the party and awarded a 14k gold Santa coin to the person with the most Christmas Spirit. Then, his Elf marshaled the guests into a line and he spent a couple of minutes with each child and adult guest on his lap, hearing their Christmas wishes. He was great! Insurance: $2,000,000 - We carry standard performers insurance. 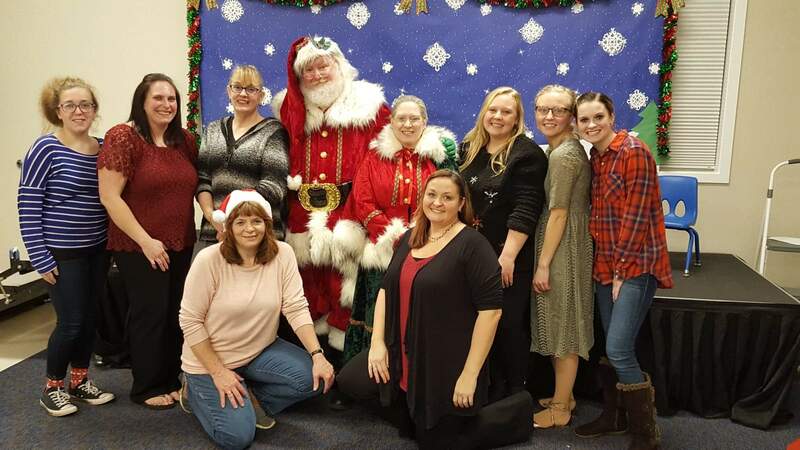 What you get with us are a Santa and Mrs. Claus who are energetic and determined to make every event as special and magical as they can possibly be! For specific details, we need to know what type of event/service you want so please do contact us! 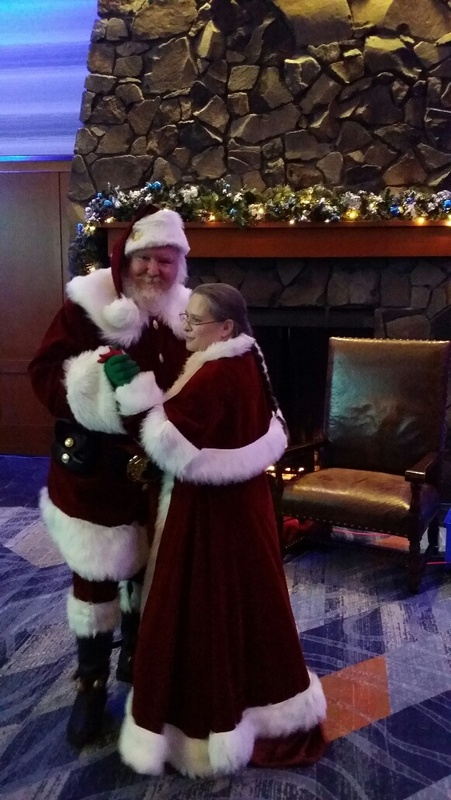 Santa and Mrs. Claus are a married couple in the Gresham, Oregon area. They are the founders of Secret Santa Charities and underwrite all expenses so that 100% of all proceeds are put out into the community. 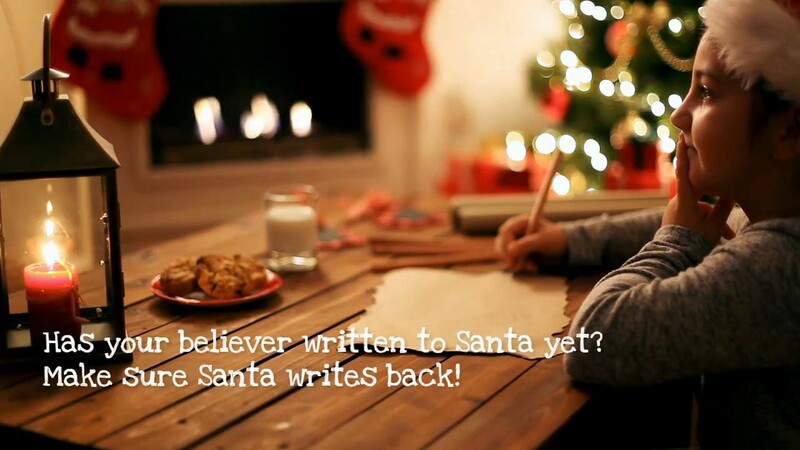 They began their Christmas adventures in 2010 and have been spreading Christmas magic ever since! We can provide a Santa chair if needed. 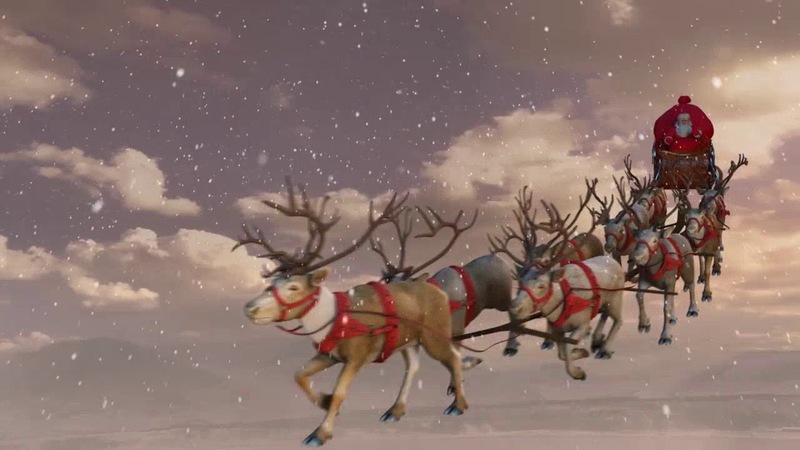 Our Santa and Mrs. Claus are greatly influenced by both the Rankin-Bass special "Rudolph" and "A Miracle on 34th St.". Do not place us near a fireplace please! Please provide for parking close by the event. If a photographer will be present, please let us chat before the event so we can maximize quality/time. If you have pets, please let us know in advance.